Personal injury claims involve not only injury to a person, but the wrongful actions of another person or entity. Over 31 million injuries occur each year across the nation. While not all those injuries will result in a personal injury lawsuit, those involving negligence may. • Any life-changing, catastrophic injury received as the result of the negligence of another. which collides with a truck are likely to be killed or severely injured. After all, a large commercial truck can weigh up to 80,000 pounds, fully loaded. This is equal to nearly thirty times the weight of a normal passenger vehicle. Truck accidents are much more complex than passenger vehicle accidents because there may be more than one defendant in a truck accident case. The truck driver could have been at fault, or perhaps the trucking company exhibited negligence in hiring practices. The truck maintenance company may have failed to perform regular maintenance, therefore could be responsible if failed brakes or tires were the cause of the accident. The loading company could have neglected to properly secure the load and the accident could have occurred because of that negligence. Finally, the actual manufacturer of the truck or truck parts could be held responsible if a dangerous or defective part was responsible for the accident. A skilled Wyoming truck accident attorney is critical to identify the responsible party in your truck accident then obtain the maximum compensation for your injuries. other than to pay you as little as possible. Car industry experts estimate the “average” driver will file a claim for a collision approximately once every 17.9 years. This means that over the course of a lifetime this average driver will be involved in three to four accidents. Even when the crash causes no fatalities, it can leave those involved with serious injuries as well as damage to their vehicle. Catastrophic injuries can change lives forever. Victims of catastrophic injuries deserve much better than the system provides when they are left with permanent, life-altering injuries. These injuries may require lifelong assistance, multiple surgical procedures, ongoing rehabilitative therapies and medical expenses which never end. In addition, car accident victims may be unable to work and provide for their families. This can financially cripple families that are already struggling to put their lives back on track after a serious car accident. Whether your car crash was little more than an annoyance or you were left with severe injuries, having a skilled Wyoming personal injury attorney on your side is crucial. vehicles or trucks, while another 100,000 suffer severe injuries. Motorcycle accidents can be particularly difficult to present to a jury, as many jurors believe in the stereotype of the reckless motorcyclist. If you have been involved in a motorcycle accident you need an experienced Wyoming attorney who knows how to strategically build your case from start to finish. dies because of the negligence of another must deal with the emotional trauma of the loss as well as with financial hardships if the deceased was a primary earner for the family. Of course, no one’s first thoughts following the loss of a loved one are about money, but, unfortunately, there may be a spouse and children who depended heavily on the deceased for financial support. This can make it necessary to consider the financial side of the death. Wrongful death cases can be very complex, and, as such, are best left to an experienced wrongful death attorney. A skilled Wyoming wrongful death attorney will conduct a thorough investigation to build your wrongful death case and ensure your rights are protected and preserved. Wyoming laws, sound negotiation skills and the ability to understand complex legal materials. Joe Frick Law, PLLC handles civil litigation matters from simple to complex. Personal injury cases, wrongful death claims and civil disputes can quickly reach the point that you are left not knowing what you should do to protect your future. Statutes of limitations must be considered, witnesses consulted and subpoenaed, insurance companies dealt with and scores of evidence gathered. A skilled Cheyenne personal injury attorney will take care of all these issues and more, allowing you time to heal following your accident. In fact, the simple act of retaining a personal injury attorney lets insurance companies and defendants know you have a skilled advocate in your corner who is dedicated to protecting your rights. If you or someone you love has been injured in an accident because of another person or company’s negligence, you have a right to seek compensation for your injuries. Unfortunately, without an experienced personal injury lawyer on your side, insurance companies rarely offer you a fair settlement. 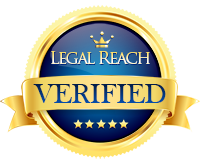 As a result, it is important to review your case with an experienced Cheyenne personal injury attorney immediately. When you need a skilled Wyoming personal injury attorney, call Joe Frick Law, PLLC at 307-392-4136 for a free initial consultation and review of your case. Please Note: Information on is for general use and is not legal advice. The sending of this form is not intended to create, and receipt of it does not constitute, an attorney-client relationship. Anything you send to anyone at our Firm will not be confidential or privileged unless we have agreed to represent you. If you submit this form, you confirm that you have read and understand this notice.